When I meet with Kevin Hackett to discuss the master bathroom which he and Jessica Weigley of Síol Studio designed for the 2013 San Francisco Decorator Showcase House (see Conversation with Kevin Hackett), we talked about how we could replicate this feeling with simple gestures and low-cost items. Here are some of our thoughts. Kevin: In one respect, it’s about connecting to nature in our spaces, bringing awareness of subtle shifts within our environments, and ultimately within ourselves. 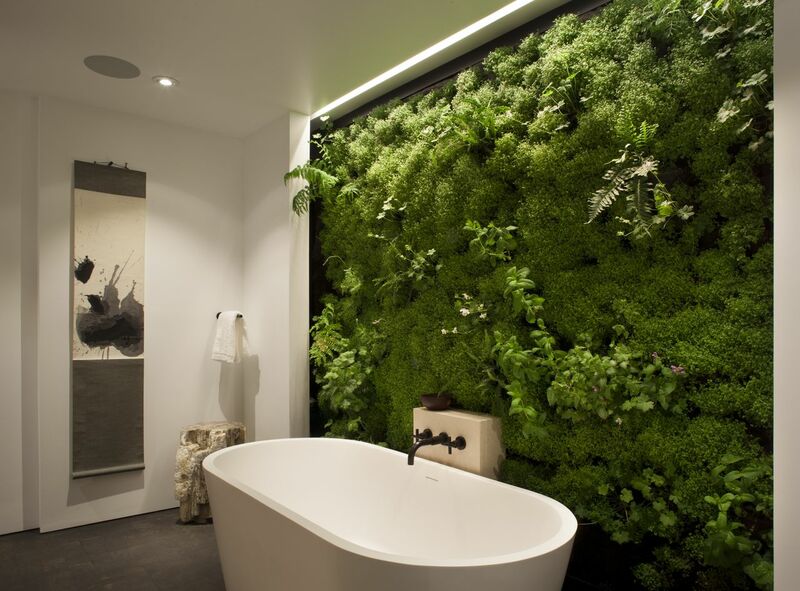 There are a number of plants that thrive in a bathroom environment with natural light, warmth and humidity on tap (such as orchids, gardenia, ferns and geraniums to name but a few). Why not hang them off the ceiling near your shower or tub. Wally Pockets are also inexpensive and can be easily mounted. Think about your senses and how to awaken them. I would add that not enough people install art in their bathrooms. It’s a very simple gesture that adds another layer of depth to your bathing/showering experience. We advise clients to embrace more abstract art so their interpretation of the piece can alter with ease when in different states. Bjørn Studio: I remember a friend’s bathroom, years ago, which was full of orchids. Hanging from hooks, the orchids filled the entire ceiling, and they flourished in the warm humidity from the shower and diffused light that came in from the frosted southern window, the type of light which orchids love. My friend never threw old orchids away, but nurtured them too bloom again. As the orchids bloomed, the fragrant ones were left to enhance the bathing experience, and the pretty ones were taken to another part of the house for enjoyment. This made a really remarkable way to experience bathing, and an expansive way to live. I would add that we should not forget our sense of smell, perhaps the most evocative sense. A few flowers or a burning candle can help to calm our spirit, transport us to another land, or evoke a distant memory. Choose what works for you. 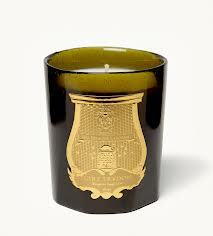 My favorite candle, which transports me to a world of luxury and palace intrigue, is Spiritus Sancti by Cire Trudon. If you been here before, you will notice that this post is being re-branded. Bjørn 101 will be an on-going series where I offer some practical advice to implement design into your own life. I hope you enjoy.